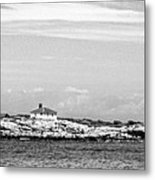 Thacher Island is a photograph by Charles Dobbs which was uploaded on January 20th, 2013. Thacher Island by Charles Dobbs. 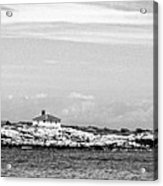 Taken near Rockport, Massachusetts. 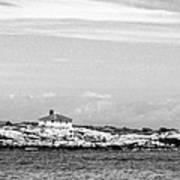 Thacher Island is a small island off Cape Ann on the Massachusetts coast in the United States. It is a part of the Town of Rockport. It was a place where some naval confrontations, both minor and major, took place, which helped secure victory for the colonists. The island, named after Anthony Thacher, is located in perilous waters, where there have been many shipwrecks. With the large number of shipwrecks around this area, there was a petition sent from sea captains to erect a light on the island. 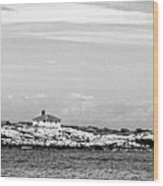 On April 22, 1771, the provincial government authorized construction of two lighthouses on the island. The lights went on December 21, 1771. Although these lights were valuable assistance for the fishermen and sailors of the sea, there was a strong feeling among the townspeople that the lighthouse was helping the British fleet more than it was helping the Patriot cause. This feeling increased after hostilities erupted with the Battles of Lexington and Concord and the Battle of Bunker Hill.